Congratulations to Jochen Pfeiffer for winning his third tournament of the year at Cottbus Juggling Convention 2016, and going 11 matches in a row without a loss. The rankings points he won lifted him back to 2nd in the Race Rankings, and with the European Masters coming up, within striking distance of securing the 2016 year end number one spot. 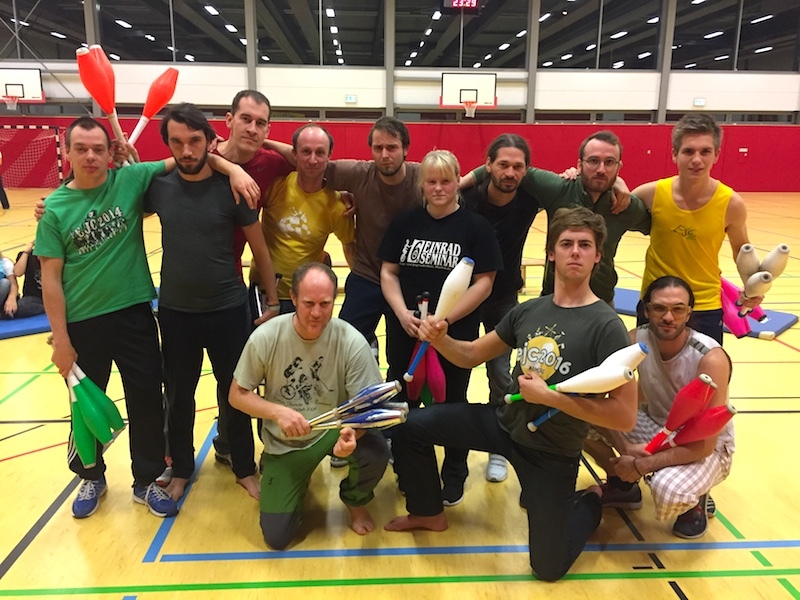 24 jugglers took part in the qualifications in Cottbus, and 12 jugglers made it through to the knockout. In the final Jochen beat Alex Leymann 5-0. However, Alex only had to make it to the final to secure his a top-ten finish for 2016, and so he qualified for his second trip to the European Masters. Martin Schwalenberg needed to win just one knockout match to secure an invite to the European Masters, but in a very close round of 8 match he was upset 5-4 by Stephan Cipra, and failed to qualify. Both Stephan and Florian Marienfeld would have had to win the entire tournament to qualify for the end-of-year finals, but as both lost their semi-finals, they had to settle for 3rd (Flo) and 4th (Stephan). The field is now set for the European Masters, with Jan Poolen taking the tenth invite spot. Look out over the next two weeks for more details on the lineup, draw, points on offer and the possible impact on the year end rankings.